SAN FRANCISCO — The Na Leo Holiday Concert will take place on Sunday, Dec. 14, at 4 p.m. at the Japanese Cultural and Community Center of Northern California, 1840 Sutter St. in San Francisco Japantown. Don’t miss Na Leo’s first holiday tour on the mainland in 10 years and their debut concert at the JCCCNC. They will perform holiday classics and some of their popular hits. 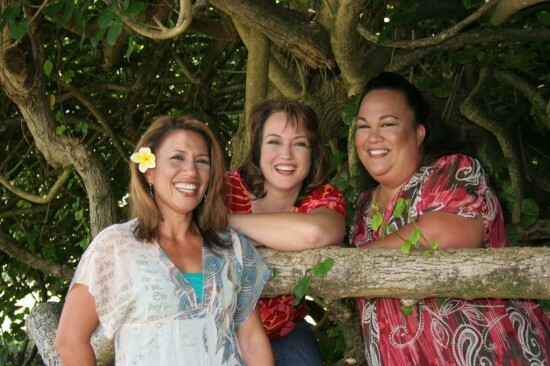 Na Leo Pilimehana, which in Hawaiian means “the voices blending together in warmth,” are the most award-winning and biggest-selling female Hawaiian group in the world. The group consists of three childhood friends, Nalani Choy, Lehua Kalima Heine and Angela Morales. Na Leo has won the most Hoku Awards (Hawaii’s version of the Grammys) of any Hawaiian music group, becoming the most recognized music group from the islands, with styles ranging from Hawaiian contemporary to pop ballads. Spend this holiday season with Na Leo and invite your friends and family to share the warm sounds of aloha. Tickets are $45 general. For more information, call Ruby Hata at (415) 567-5505 or visit www.jcccnc.org. 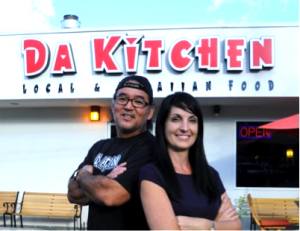 Chef Les Tomita and Mariah Brown of Da Kitchen. VIP package ($75) includes VIP seating at the concert and an opportunity to enjoy Hawaiian local cuisine with Na Leo. Chef Les Tomita of Da Kitchen Maui with help from some old Hukilau guys and Chef Ty Mahler (formerly of Roy’s SF) team up to bring the best of contemporary Hawaiian local cuisine to San Francisco for one night only. If you ask any local from Maui where to get the best local-style food, invariably the answer will be “Da Kitchen!” Tomita and Mariah Brown opened Da Kitchen in early 2000 in Kahului, Maui and since then, it has become an institution. Tomita’s culinary style is what he likes to call “island soul food,” which marries contemporary tastes and sensibilities such as local Maui ingredients with the food he grew up with, whose roots are with humble plantation workers from multiple cultures and ethnicities sharing their home-cooked meals in the fields. The winners of multiple awards, Tomita and Brown were invited to cook for the Presidential Inaugural Luau in Washington, D.C. in 2012 and have been featured on such shows as “Esquire’s Brew Dogs” (pairing Da Kitchen’s deep-fried Spam musubi with Kona Longboard Lager) and the Travel Channel. Tomita has traveled to San Francisco to cook with the boys that opened Da Hukilau San Francisco as well as at Roy’s Restaurants. He will be bringing Da Kitchen Maui to San Francisco with the help of Eric Tao of Da Hukilau and Ty Mahler, former head chef of Roy’s San Francisco and now the principal and chef for Sushiritto.